New York State Acting Welfare Inspector General Catherine Leahy Scott and Erie County District Attorney John J. Flynn today announced the arrests of four Erie County residents as part of a welfare fraud sweep on charges they stole a total of more than $42,000 in public benefits to which they were not entitled by concealing household incomes in their welfare applications. These arrests, part of an ongoing initiative targeting welfare fraud in Erie County, were a result of a joint investigation by Welfare Inspector General Leahy Scott, the Erie County Department of Social Services and District Attorney Flynn and his office. Stephanie Jurek, 33, of West Seneca, was charged with Grand Larceny in the Third Degree, Welfare Fraud in the Third Degree and two counts of Offering a False Instrument for Filing in the First Degree, all felonies. The charges allege Jurek concealed the fact she lived with the employed father of their three children and that through such misrepresentation was able to receive more than $30,400 in Supplemental Nutrition Assistance Program (“food stamps”) and Medicaid benefits from July 2013 through October 2017 to which she was not entitled. Camille Jackson, 47, of Buffalo, was charged with Grand Larceny in the Third Degree, Welfare Fraud in the Third Degree and Offering a False Instrument for Filing in the First Degree, all felonies. The charges allege Jackson concealed the fact she was earning income from a job as a personal care aide and through such misrepresentation received nearly $5,000 in welfare cash benefits to which she was not entitled from September 2012 through April 2014. Ayreace Hover, 26, of Buffalo, was charged with Grand Larceny in the Third Degree, Welfare Fraud in the Third Degree and Offering a False Instrument for Filing in the First Degree, all felonies. The charges allege Hover concealed the fact he lived with the mother of his children and that she earned an income as a hospital aide making him ineligible for nearly $4,700 in food stamp benefits he received from October 2013 through September 2014. Lyntira Henley, 35, of Lackawanna, was charged with Grand Larceny in the Fourth Degree, Welfare Fraud in the Fourth Degree and Offering a False Instrument for Filing in the First Degree, all felonies. The charges allege that Henley concealed the fact she was employed and earning income at a fast food retail company making her ineligible for nearly $2,200 in food stamp benefits she received from May 2017 through September 2017. The four defendants are to be arraigned in the City of Buffalo Court today. 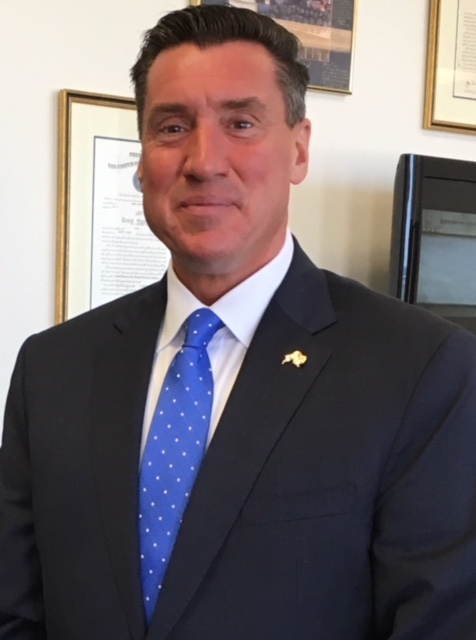 Welfare Inspector General Leahy Scott thanked the New York State Police for their assistance with the arrests, the Erie County Department of Social Services for their assistance with the investigation and District Attorney Flynn and his office for assistance with the investigation and for prosecuting these cases. The defendants are presumed innocent until and unless proven guilty in a court of law. Previous articleHeart Palpitations: When Should I See a Doctor?